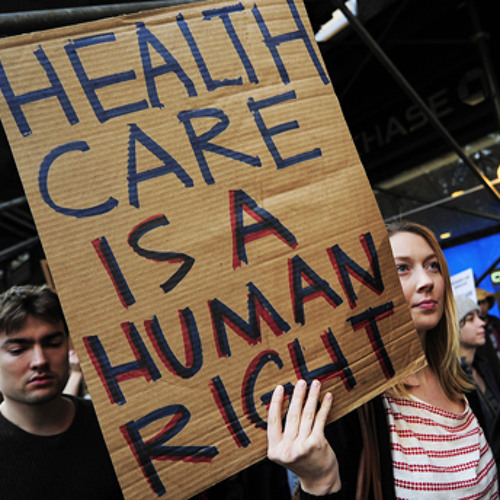 Midnight on March 31st marks a major deadline for the Affordable Care Act, also known as Obamacare. It’s the end of the first open enrollment period, in which people without coverage from their employer have to sign up for private health insurance on individual market, and there’s a vast disparity in cost and options from state to state. As government officials across the country hustled to meet their goal of 7 million people enrolled, our Capitol Hill correspondent Alice Ollstein spoke to an doctor and activist who is refusing to participate. Users who like Obamacare Deadline Day: from website crashes to "conscientious objectors"
Users who reposted Obamacare Deadline Day: from website crashes to "conscientious objectors"
Playlists containing Obamacare Deadline Day: from website crashes to "conscientious objectors"
More tracks like Obamacare Deadline Day: from website crashes to "conscientious objectors"